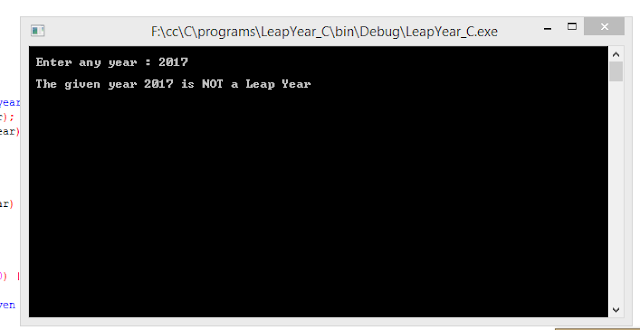 C Program to check whether an year is a Leap Year or not. This is a C program which checks the input year for Leap year. A year is said to be a leap year, if it exactly divisible by 4 but not for century years(years ending with 00) and also an year is called Leap Year when it is exactly divisible by 400.